When I first saw some of the beautiful creations from Birdie Baby Boutique, I knew I wanted to work with them! Everything these two stay at home moms make is so sweet and inspired. Since they make everything themselves, if you see something you like but want it in a different color or pattern, they can do it. All of their designs are fully customizable. My favorite thing they make is the superhero capes. My 4 year old wants to be a Super (like Dash Incredible) when he grows up and I am always tying a blanket on him so he can "dash and dash and dash all around." Yes, he made up his own superhero song. 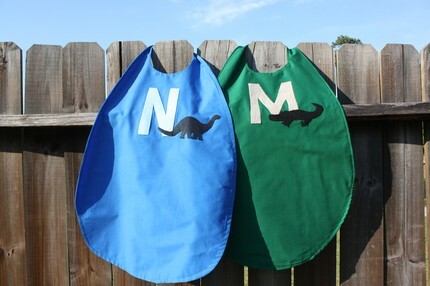 Of course, they can be made in any fabric, with any letter, and any felt applique. They recently entered the EtsyKids Design Challenge and won with their word name blocks! Also, if you like them on Facebook, you can see the latest creations and get special pricing by participating in their comment games. Buy it: Visit Birdie Baby Boutique today to get your creation started! 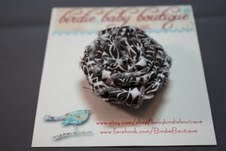 Win it: Birdie Baby Boutique has very generously offered a frayed fabric rosette clip to one lucky winner. Winner chooses the color. These can be worn alone, stacked, or even on a shirt. 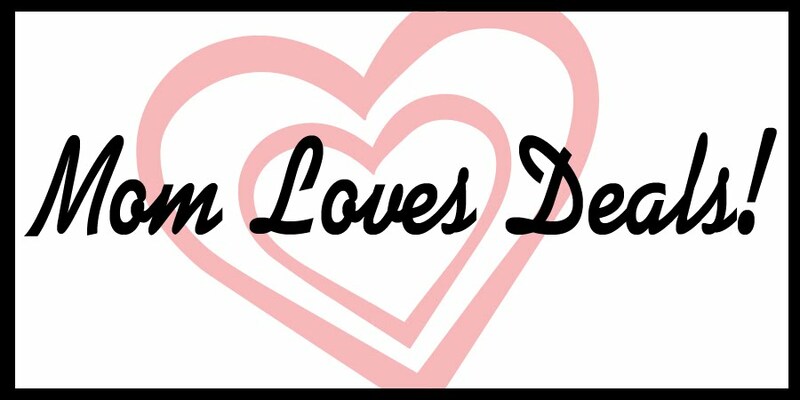 This is one accessory a mom should share with her daughter! If you see something else you have to have, you can gain 3 extra entries for this giveaway by purchasing it before the end of the giveaway! I will choose a winner using random.org on July 10th. The giveaway closes July 9th at midnight.